This book consists of three parts. In Introduction, our research method and references are evaluated. Then, the terms “ghaybat” (the occultation of the imam) and “raj‘at” (the return to life of the Prophet’s late household before the Resurrection), the two foundation stones of the Shiite belief, and their meanings, which have been formed throughout Islamic history, are analyzed. Part One evaluates the historical background of occultation and its introduction among the Muslims. 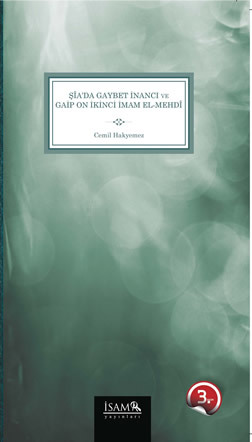 It investigates firstly socio-cultural, religious and legendary factors affecting the formation of the belief in occultation and then discusses the allegations concerning the first occultation, of Muhammad ibn al-Hanafiyya. This part ends with the evaluation of the period in which Yahya ibn ‘Umar was alleged to disappear. Among the Shiites, the most important development regarding occultation was experienced with the death of the eleventh imam, Hasan al-Askari. Hence Part Two outlines firstly political situation prior to him and then touches upon the partition among the sect after his death. Wikala (agency) issue, another aspect of these discussions, is also elaborated. Before going deep into the Imami Shiite’s belief in occultation, some families and persons, like Nawbakhtis, influential on its formation, are studied. Part Three focuses on the transformation of the occultation idea into a complete faith in the hands of the Imamites. Herein, firstly the books written on occultation are investigated, then, Muhammad al-Mahdi’s occultation is dealt with. Issues such as the nature, causes and duration of occultation, its theological foundations and the messianism developed around the twelfth imam are elaborated. The main issues and concepts, such as twelve imams, Imamiyya, and Ithna ‘ashariyya, of the Twelver Shiism are also dealt with. Finally, some evaluations are made on the effect of this belief in the Shiite ideology and on the last doctrinal stage to which the Imami Shiites have reached.